Bojangles' is coming to Norcross. Charlotte, North Carolina-based Bojangles' plans to open a new restaurant on Jimmy Carter Boulevard near Holcomb Bridge Road in Peachtree Corners. The Bojangles' will be built on the site of the former Lonestar Steakhouse that had later operated as Dez Persian Grill and Kobe One Steakhouse. To the immediate right of the Bojangles' site is a former Applebee's that today operates as a Frontera Mex-Mex Grill. One of Bojangles' most significant competitors in the quick serve fried chicken segment is Sandy Springs-based Popeyes. Popeyes has an large existing network of metro Atlanta area locations, including one a mere two tenths of a mile from where this new Bojangles' will open. Bojangles' has been making a serious effort to expand its presence in metro Atlanta with a soon to open location on Duluth Highway in Duluth as well as a planned location on Lawrenceville Highway in Tucker. Unlike Charlotte, where the fast food chicken chain has locations throughout the city, Atlanta's high cost of real estate has apparently kept the chain from expanding as much in the metro area as they'd like. In Charlotte, there is a Bojangles' a stone's throw from SouthPark Mall, the Lenox Square of the Queen City. I seriously doubt Buckhead will see a Bojangles' anytime soon, but one somewhere intown would be nice. Bojangles' was recently ranked No. 1 for percentage unit growth in the chicken segment by market research firm Technomic. "Bojangles' showed 5.9 percent unit growth, a faster growth rate than competitors such as Chick-fil-A, KFC, Popeyes and Zaxby's." Are you excited about this new Bojangles'? Where is your favorite place to get fried chicken in Atlanta? Where would you like to see Bojangles' open next? Please share your thoughts below. That location should do well for them. Love those bo-berry biscuits. There is a Bojangles right outside the perimeter on Old National Hwy. Went once, was delicious. Popeye's is so much better than Bojangles in my opinion. 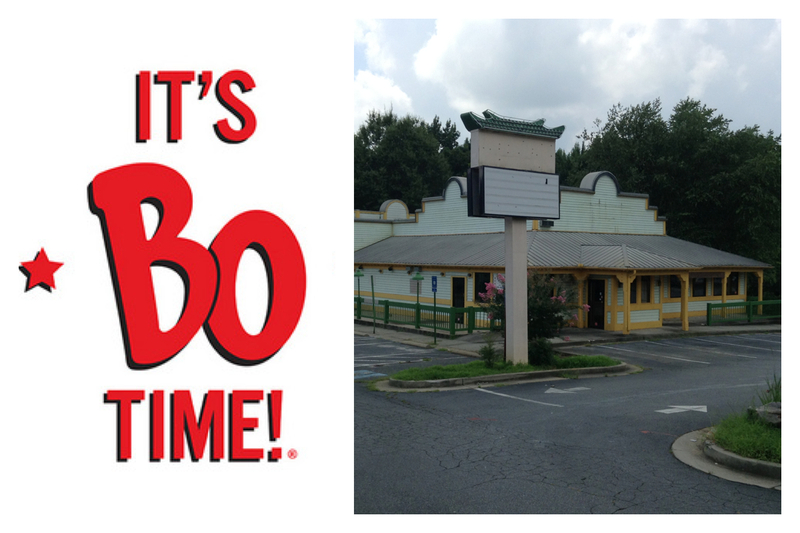 In other news, the NC based chain Cookout is fairly close to opening a location in Athens. It is absolutely my favorite fast food burger. THey also have tons of milkshake flavors. Anyone who has been up the I-85 corridor into SC/NC is familiar with them, they seem to be off of every exit. Thought I saw a sign for a new Bojangles in T Concourse a couple of weeks ago. Please leave that chicken crap in ITP instead of OTP. They need to put one north of town off 400 in Alpharetta somewhere. Ham biscuits for breakfast and that great chicken for lunch with sweet tea to wash it down would suit me just fine! Rarely have it because it's a drive to get it.